Still feeling under the weather and just waiting for more test results. I haven’t had much energy to do any work, especially not of the creative kind, however over the past few days I have received notice of a few accolades for recent work that have helped to boost my spirit and hopefully my immune system as well. “Tainted Beauty Queen” – ©Tracy J. Thomas, 2013. All rights reserved. My iPhone photo “Tainted Beauty Queen” was one of 8 chosen for New Era Museum’s “NEM memories” photo-action, curated by Jennifer Bracewell. You can view all the choices here. “Oasis” – ©Tracy J. Thomas, 2013. All rights reserved. My iPhone photo “Oasis” was chosen as one of 8 entries for New Era Museum’s “NEM landscapes” photo-action, curated by Gianluca Ricoveri. You can view all chosen entries here. 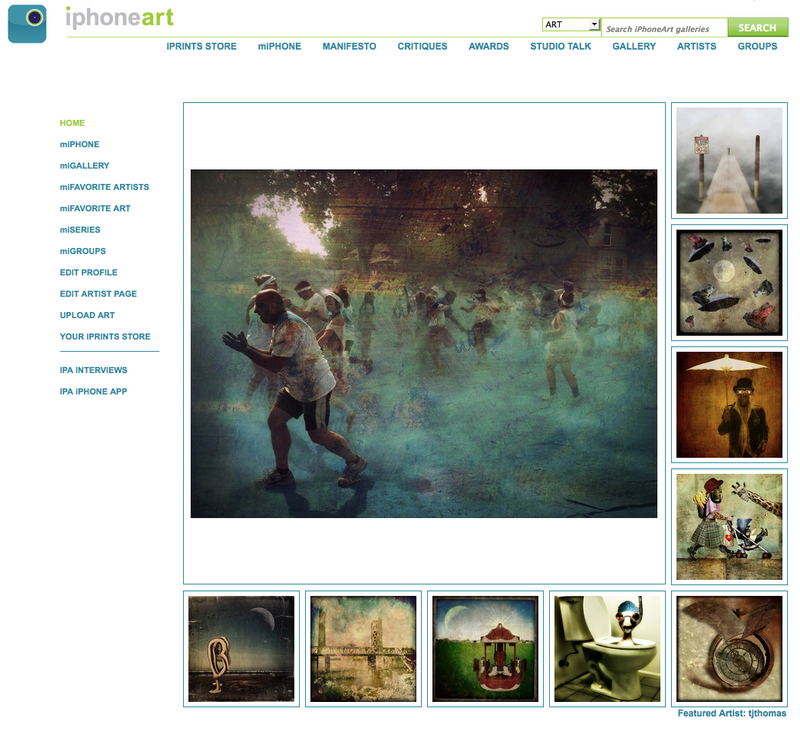 And once again (I believe this is my sixth time) I was chosen as “Artist of the Day” on iPhoneArt.com today. I only wish my body felt as happy as my mind does with all these new accolades. This entry was posted on Monday, June 3rd, 2013 at 11:02 am	and tagged with iphone, iPhoneart.com, iPhoneography, mobilephotography, New Era Museum and posted in iPhoneography, Photography. You can follow any responses to this entry through the RSS 2.0 feed. The beauty queen looks to be submerged in wax. Beautiful and mystical and Halloween all at once. Nice one. The oasis is like a mirage. Perfect. Feel better soon. WOW-you are producing amazing work. I might have to say I knew you when. What a takeoff and new career with iPhone photos.